I am an urban planner, land use expert, property valuer, investor and entrepreneur who enjoys working in frontier markets. I have over a decade of consulting experience in designing and implementing private and public sector investment projects. I am adept at originating and carrying through niche-market transactions in which I can bring clear added-value. I have a real passion and understanding of the fundamentals surrounding transitioning economies and their potential for long-term growth creation. I am a believer in the power of GIS data and market knowledge to create arbitrage opportunities. I have strong language and interpersonal skills. M.A.D. is a boutique real estate investment firm focused on leveraging the full potential of Mongolia’s economic growth. The company manages its own portfolio of properties in addition to offering a number of property focused investment products to its network of clients. The company has furthermore rapidly become the premier real estate research institute and strategic consulting firm in the country with a number of landmark reports published and Mongolia’s only dedicated permanent Real Estate survey team who works with all of the primary development banks. M.A.D. has also become the only internationally accredited property and business valuation firm in the country. M.A.D. has 27 full time employees. 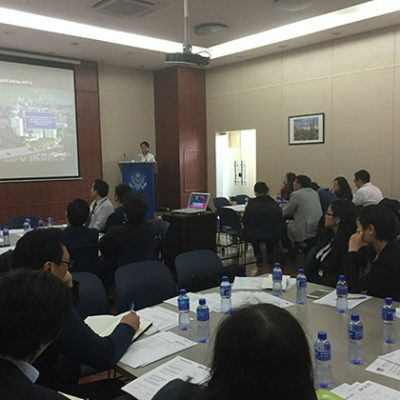 Led the team that prepared a full set of documentation for the State Housing Corporation of Mongolia for three separate large scale affordable housing projects in order to raise over 350 Million USD from the Exim Bank of China and the Development Bank of Korea. Brokered and managed over 250 real estate transactions within Mongolia in all asset classes amounting to over 125 million USD in direct sales to third party clients. Launched Mongolia’s first serviced apartment business with a proprietary portfolio value of 3.2 Million USD spread over 23 apartments generating a net yield of 12.4% annually. Key consultant on over 15 urban related development projects for the ADB, World Bank, EBRD, JICA etc.. in capacity building, monitoring, real estate, private sector, financial implementation etc.. expertise. Established commercial partnerships with JLL, CBRE, Cushman & Wakefield, GIZ and Colliers. Oversaw the development of the two largest proprietary databases in the country tracking past transactions and future expected supply of real estate in Ulaanbaatar. Keynote speaker at the Mongolian Investment Conference in both Hong Kong and London for 2011 and 2012, discussed Mongolia’s Investment environment and its Real Estate sector. Speaker at a large number of domestic investment conferences, regular commentator for Bloomberg Mongolia TV. 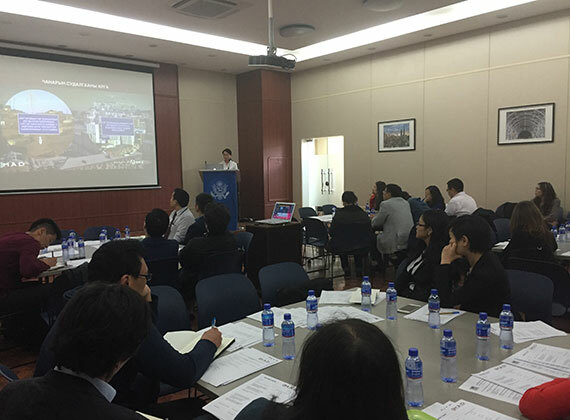 A venture capital and property development firm operating 10 businesses in Mongolia across a wide range of industry sectors. APIP managed at the time real estate assets worth 50 million USD. As CEO of its tourism arm (Mongolian Resorts), I managed the firm’s restaurant, cafes, ger camp and guesthouse. Oversaw the firm’s development and all its activities, managed a full-time staff of 35. Reformed and relaunched the property agency arm of APIP (Mongolian Properties), building it into the leading real estate agency in Mongolia with over 15 staff members and 3 office locations. Launched property management operations which reached up to 340 properties under management. Oversaw the complete redevelopment of the branding of Mongolian Properties with the creation of new websites, marketing materials, PR campaigns, media awareness and investor programs. Personally carried out over 20 Million USD in sales for three large scale developments in Ulaanbaatar and signed over 350 proprietary and third party rental contracts. Created a database of over 5,000 international property investors interested in the Mongolian Real Estate market and developed a weekly newsletter as well as a monthly investment report. Worked on the Due Diligence elements of the merger of Fortis’s Bank Assurance Department with ICBC’s and the operational implications that such merger would have on Fortis’s operations in mainland China. Did business planning for the development of the brand with its associated products and services in India. Managed the bank’s annual corporate sponsorship giving. Drew shortlists of potential candidates with merits and cons. 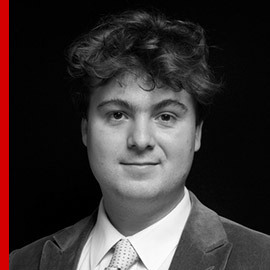 Proposed, managed and developed the keystone sponsorship of the Hong Kong Philharmonic Orchestra in order to bring on Edo de Wart as its primary conductor for the season. Assisted in the organisation of all linked events for the bank. I worked with the International Asset Backed Securities Department of Shinsei Bank in its Tokyo Headquarters. I carried out in-depth Due Diligence on a number of clients for the bank’s SPV’s as well as wrote extensive research notes on a variety of markets including Australian tuna farming, commercial aviation leases and Japanese food manufacturing facilities. I worked across a number of derivative products internationally participating in developing target acquisitions in the US and Australia. As the bank’s first ever “test” intern I also developed a comprehensive internship management programme which continues to this day. Assistant Manager to the Front of House of the Novotel Peace Hotel in Beijing’s central Wangfujing area. Taught and tested an english language programme for the housekeeping staff, developed processes for the Hospitality department to be used in the 4 outlets within the hotel. Dealt with customer complaints. Personalised check-in and concierge services for our VIP guests. Implemented clear KPI’s across all departments including executive management. Carried out weekly mystery shopping stays at competing properties throughout Beijing. The ADB is helping Mongolia upgrade basic infrastructure and services in “ger” or peri-urban areas of Ulaanbaatar, where a majority of the capital city’s poor residents live. The project will expand roads and improve water supply, sewerage systems, and heating services. It will help create well-developed subcenters to provide jobs, housing, economic opportunities, and a sustainable living environment. The project team will focus in particular on the urban renewal, community engagement, policy aspects and capacity building elements of the project in order to maximise the cost efficiency and the potential to improve the quality of life of residents as part of the GADIP, tranche 1 project. My consultancy role in this project is to intervene as an expert in the Mongolian real estate sector and as a land use specialist with a particular focus on the creation of a business plan for the creation of a Sub-Centre Redevelopment Agency, on macro policy recommendations, on land use proposals, community empowerment and private sector engagement. 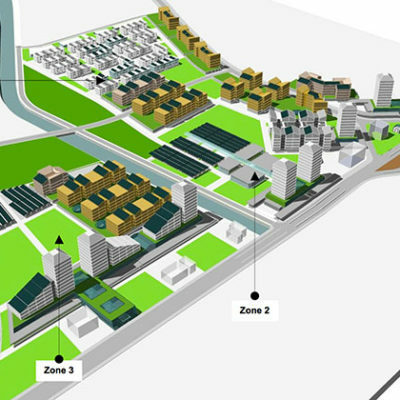 This project is a pre-feasibility study focused on developing the quality of life of Ulaanbaatar ger district residents through the delivery of well-planned and well-developed mixed use and mixed income urban areas. It supports the implementation of the city urban master plan and ongoing initiatives from the GoM, the MUB, the private sector, the IFI's and the communities. The project will include the provision of an ADB sovereign loan to the MUB, a NSO loan to a state entity such as TOSK as well as a number of private sector loans to property developers totalling approximately 380 Million USD in disbursements. My consultancy role in this project is to intervene as an expert in the Mongolian real estate sector with a particular focus on the private sector involvement, the land and property laws of Mongolia as well as developing financial schemes for the implementation of affordable housing. The Risk Sharing Facility (“RSF” or the “Facility”, formerly known as “MCFF”) aims to assist local partner banks (“PBs”) in meeting the financing needs of successful small and medium-sized enterprises that have begun to outgrow the countries’ financial sector. Local banks’ ability to support the growth of such companies is often constrained by single-borrower exposure limits imposed by central banks or by their own internal guidelines that aim to manage loan portfolio concentration. 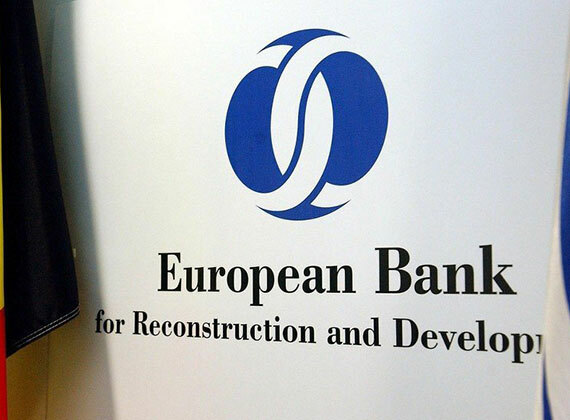 Through the Facility, the Bank offers PBs funded or unfunded risk-participation schemes in US dollars, Euro or local currency, under which the EBRD will take usually 50 percent (exceptionally up to 65 percent) of the risk of sub-loans extended by the PBs under this Facility. The sub-loans are made only to eligible clients that meet pre-agreed eligibility criteria. Sub-loans under the Facility can amount to up to €20 million and have a maximum tenor of 10 years. My consultancy role in this project is to work with Khan Bank and Xac Bank's SME development teams to source and develop potential clients who could benefit from the RSF facility. 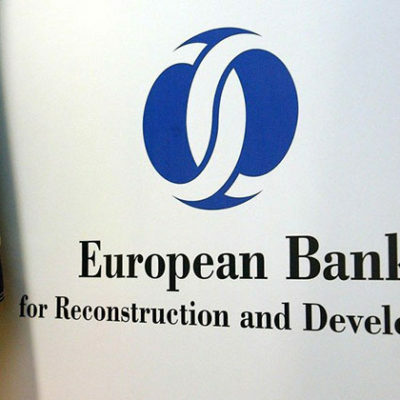 Once a client was sourced, a due diligence process would take place followed by the preparation of "Exhibits A through C" which would then be presented to the EBRD's credit committee for approval. INSEAD’s modular Global Executive MBA programme (GEMBA) takes place in fully integrated campuses across three regions: Europe (France), Asia (Singapore) and the Middle East (Abu Dhabi). The GEMBA offers experienced executives an intensive 14 to 17-month fast-track to the top via one of the world’s most prestigious and multicultural business schools. Each class has an unparalleled diversity of nationalities and business backgrounds, enabling participants to learn from each other and build a close-knit yet globally distributed network. Another unique feature is the Leadership Development Programme (LDP) which includes a programme-long schedule of group coaching, 360-degree assessments and team activities, designed to develop a leadership style that is authentic and designed to accelerate participant’s career progress even further. 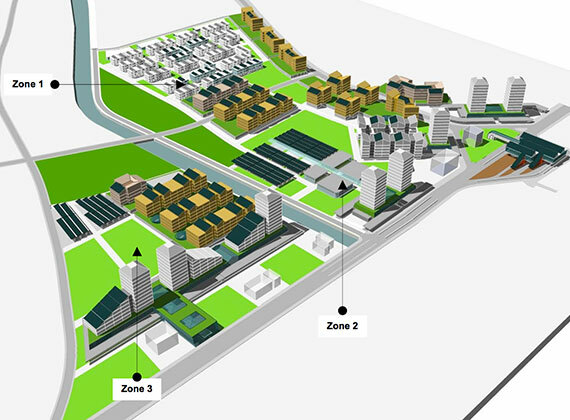 The University of Oxford’s MSc in Sustainable Urban Development offers a multidisciplinary understanding of core areas and advanced topics in sustainable urban futures, linking academic research to policy and practice worldwide. The MSc provides a stimulating learning environment and exposure to cutting-edge knowledge, aimed at enhancing professional development and opportunities in a global context. The MSc is delivered in partnership with the Prince’s Foundation for Building Community and recognised by the Royal Institution of Chartered Surveyors. The topic of the dissertation is the development of international valuation standards in a frontier market context. Done through the University College of Estate Management as an online course. Obtained with Merit. This is a postgraduate conversion programme delivered by distance learning which develops the knowledge, understanding and critical thinking required to practice as a valuer or commercial property surveyor. It offers a range of modules which address the competencies required for these disciplines. The programme is accredited by the Royal Institution of Chartered Surveyors. The Oxford Diploma in Global Business is a masters-level postgraduate qualification designed to help students undertake the senior international responsibilities which drive organisational success. This part-time programme will enhance the understanding of the issues involved in conducting business in a global landscape. This is an intellectually rich programme designed to extend knowledge and broaden and deepen skill bases, with a clear focus on practical application. The challenges of business in emerging markets. The ‘Business Project Report’ was focused on: Exploring the potential of successfully replicating M.A.D.’s non-market strategies in Uruguay. Oxford Brookes course on Marketing Management is a full time course taught in Oxford. Marketing is at the heart of any successful organisation, providing the vital link between the marketplace and strategic decision making.This course is focused on developing an in-depth understanding of marketing in an international business context, enabling students to respond to the differing needs of a diverse range of organisations. The Final Dissertation was focused on: How does Belgium market itself to Foreign Investors despite its complicated political makeup? As a part-time officer cadet with the UOTC, I successfully passed the Military Training Qualifications Levels 1, 2 &3. Throughout that time I undertook a number of training exercises both in the UK and abroad. I became a specialist in tactical warfare, reconnaissance, radio communications & small arms weaponry. I also became proficient at FV107 Scimitar light tank operations. I was named best cadet for 2003 and passed the Royal Commissioning Board for Sandhurst Officer selection in 2004 but eventually declined. The CFA Institute Investment Foundations certificate program covers through a series of advanced modules the essentials of finance, ethics, and investment roles, providing a clear understanding of the global investment industry and the role of the key players within it. The RICS Expert Witness Accreditation Service is a professional training scheme that sets the standards for professionals who act as expert witnesses. It sets universal standards for expert witnesses across the property and built environment sector. Professional valuations are vital to a healthy property market and a stable economy. This advanced level course provides the knowledge required to become a registered valuer, including the application of International Valuation Standards and in particular the RICS Red Book. Chartered Valuation Surveyor, Registered Valuer, Member of the North Asia Professional Valuation Group. Anywhere where my mother thinks I shouldn't go... I'll go enthusiastically. Currently embarked on the 7 summits challenge. Will climb any hill placed in front of me. Maps, maps and more maps... what's not to like? I love getting lost and occasionally finding myself. I'll debate anything with a pulse on topics I mostly know very little about.. I enjoy discovering new cooking and tasting foods from all over the world, the weirder the better. Never hunting but always inanimate targets. From pistol to sniper rifles. I enjoy investing in small cap, pre-IPO firms who find niche products in emerging markets. With my kindle as my most trusted companion, I will embark on a million journeys.